WASHINGTON (Reuters) - U.S. television commentator and conservative economic analyst Larry Kudlow will replace Gary Cohn as President Donald Trump's top economic adviser, the White House and Kudlow said on Wednesday, adding another loyalist to Trump's inner circle. Kudlow, a Republican who served as an economic adviser to former President Ronald Reagan in the 1980s and also worked on Wall Street, is an ardent advocate of "supply side" economic policies that focus on cutting taxes and reducing regulations. Kudlow, 70, told Reuters that Trump offered him the job on Tuesday evening and he accepted. White House spokeswoman Sarah Sanders confirmed that Trump had offered him the position. A formal announcement could come as early as Thursday. Chris Zaccarelli, chief investment officer at Independent Advisor Alliance, said investors on Wall Street generally viewed the pick positively because of Kudlow's Washington experience and his policy views. "He's generally regarded to be more of a free trade advocate than (White House adviser Peter) Navarro or the others," Zaccarelli said. "Larry Kudlow is very much a free trader," said Stephen Massocca, senior vice president at Wedbush Securities in San Francisco. "This shows that (Trump) wants to hear the other side of the argument as well." The NEC director can have wide influence over the president on a variety of issues from steering economic policy to offering guidance on whom to choose for open positions at the U.S. Federal Reserve. Cohn, a Democrat who was seen as a moderating influence on the president's nationalist economic instincts, announced his resignation last week after a disagreement over Trump's decision to impose steep tariffs on imports of steel and aluminium. 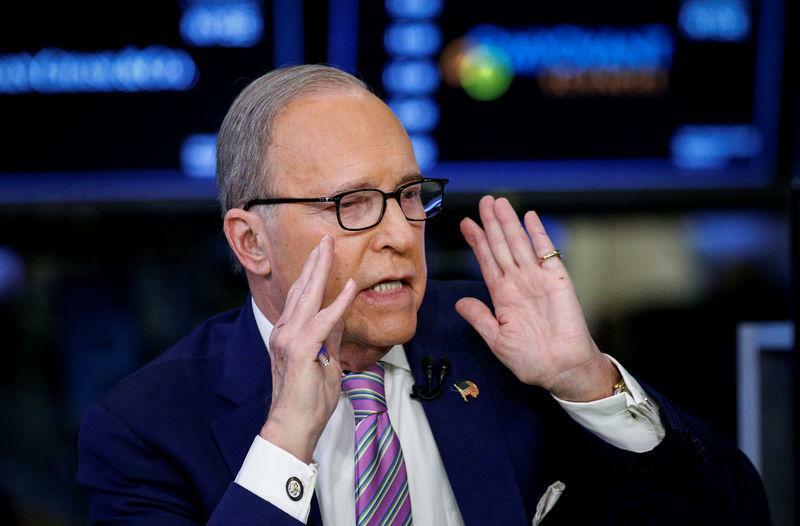 Kudlow, an informal adviser to Trump's 2016 presidential campaign, had also criticized the president's decision, saying tariffs would harm steel-consuming producers. Earlier this month, he was one of three authors of an article that argued such tariffs were akin to sanctions on the United States itself. During an interview with CNBC on Wednesday, he said he was relieved that some countries would get exemptions from the tariffs, did not think they would hurt the broader U.S. economy, and believed China deserved to face tough action over trade. "China has not played by the rules for a long time. ... I must say, as somebody who doesn't like tariffs, I think China has earned a tough response," he said, adding he hoped a coalition of countries could act against China on trade. Kudlow also said a strong and stable dollar was important for U.S. economic health and that he had no reason to believe Trump disagreed. He echoed his future boss' views that the North American Free Trade Agreement with Canada and Mexico needed fixing and said the European Union had "very bad protectionist policies." His appointment comes as Trump increasingly seeks to surround himself with like-minded advisers. Cohn's exit and the dismissal of Secretary of State Rex Tillerson have cleared the way for Trump to elevate advisers who are more inclined to implement his campaign promises ahead of congressional elections this year. The president, who has described Kudlow as a longtime friend, hinted on Tuesday morning that he was likely to give him the job. He said Kudlow had "come around" to view tariffs as a useful tool for renegotiating trade deals. Kudlow's television credentials may help him with one part of the NEC job - trying to win over the public on the president's economic policies, including the White House's view of the recently enacted tax overhaul as a major economic success.